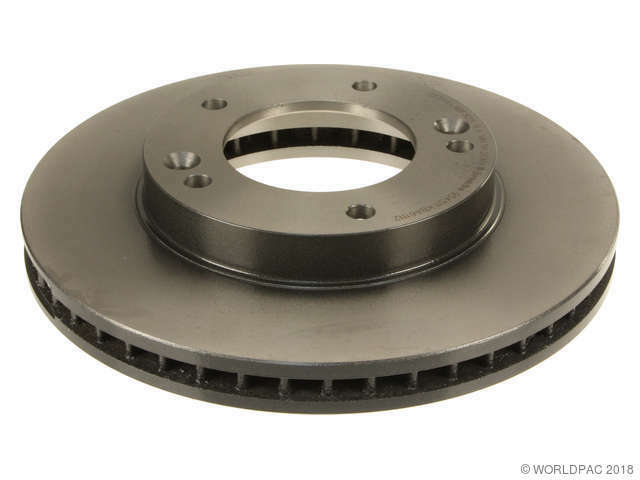 We stock Brake Disc parts for most Kia models, including Amanti, Forte, Optima, Rio, Rio5, Rondo, Sedona, Sephia, Sorento, Soul, Spectra, Spectra5, Sportage. only - Must use with pad # 0K2AZ- -33-23Z!! Must use this number to replace all old KIA Sephia/Spectra #'s TO 07-14-00! 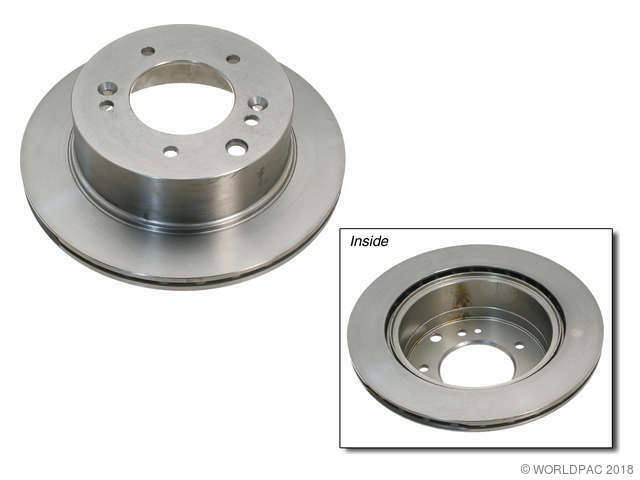 This new type has no vent holes on the sides of the wheel hub flange. The old (vented) type must NOT BE USED. Per KIA sales bulletin# 3300-0005. 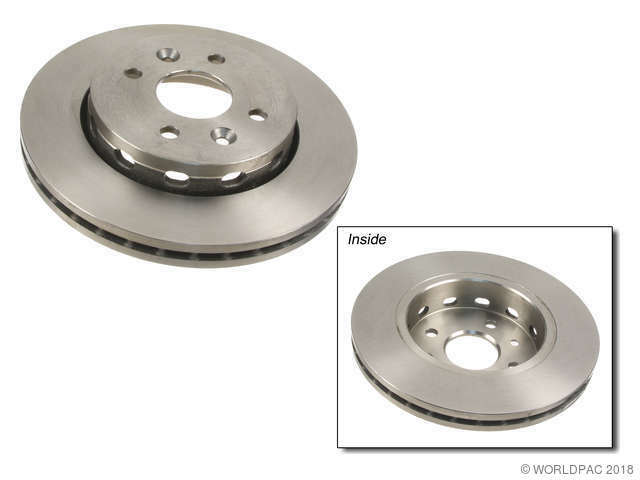 If old brake disc # 0K2AA-33-251A is going to be used, you must use the old brake pad # 0K2A4-33-23Z. DO NOT MIX & MATCH. Must use OE pad # 0K2AZ-33-23Z with this rotor ! Production: -07/14/2000, only - Must use with pad # 0K2AZ- -33-23Z!! Must use this number to replace all old KIA Sephia/Spectra #'s TO 07-14-00! This new type has no vent holes on the sides of the wheel hub flange. The old (vented) type must NOT BE USED. Per KIA sales bulletin# 3300-0005. 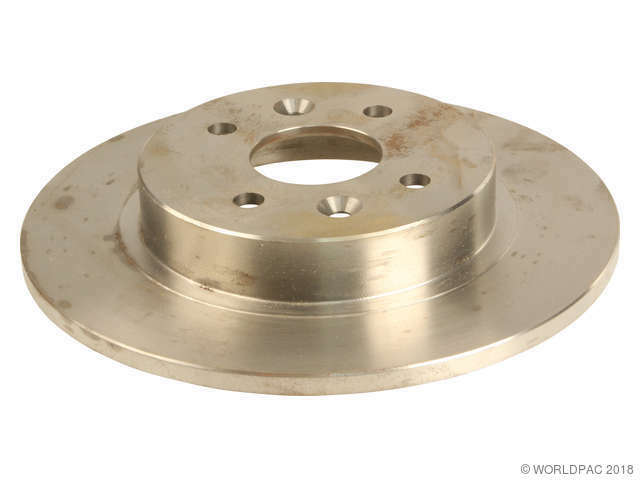 If old brake disc # 0K2AA-33-251A is going to be used, you must use the old brake pad # 0K2A4-33-23Z. DO NOT MIX & MATCH. Must use OE pad # 0K2AZ-33-23Z with this rotor ! 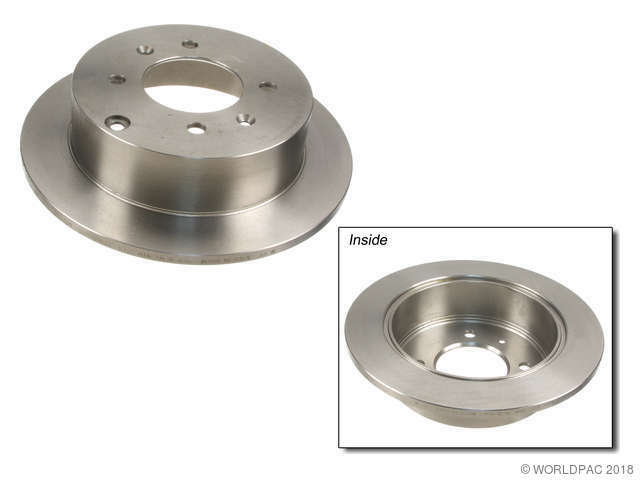 Production: 07/15/2000-, - Must use with pad # 0K2N1-33-28ZA This rotor is vented on the rotor surface sides AND on the center hub flang e. This rotor is used on Sephia/Spectra applications for production date FROM 07-14-2000 only !! This rotor must be used with pad # 0K2N1-33-28ZA. For applications prior to production date 07-14-2000, you must use disc # 0K2AZ-33-251 and pad # 0K2AZ-33-23Z. 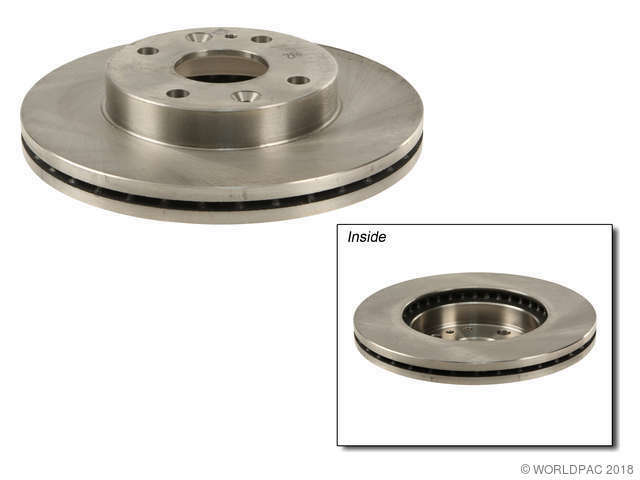 This rotor is vented on the rotor surface sides AND on the center hub flange. This rotor is used on Sephia/Spectra applications for production date FROM 07-14-2000 only !! This rotor must be used with pad # 0K2N1-33-28ZA. For applications prior to production date 07-14-2000, you must use disc # 0K2AZ-33-251 and pad # 0K2AZ-33-23Z. 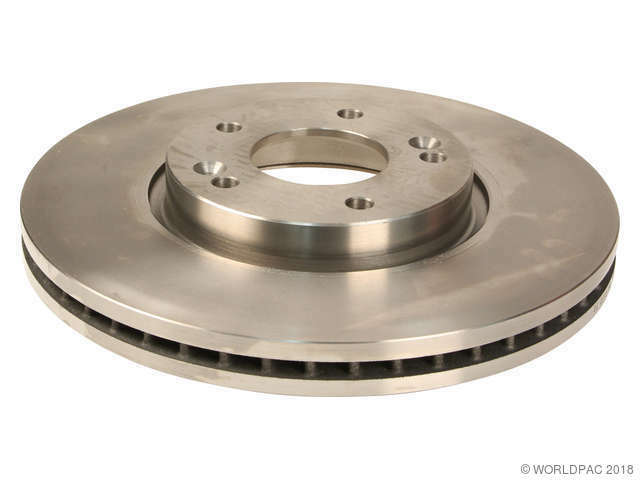 - Must use with pad # 0K2N1-33-28ZA This rotor is vented on the rotor surface sides AND on the center hub flang e. This rotor is used on Sephia/Spectra applications for production date FROM 07-14-2000 only !! This rotor must be used with pad # 0K2N1-33-28ZA. For applications prior to production date 07-14-2000, you must use disc # 0K2AZ-33-251 and pad # 0K2AZ-33-23Z. 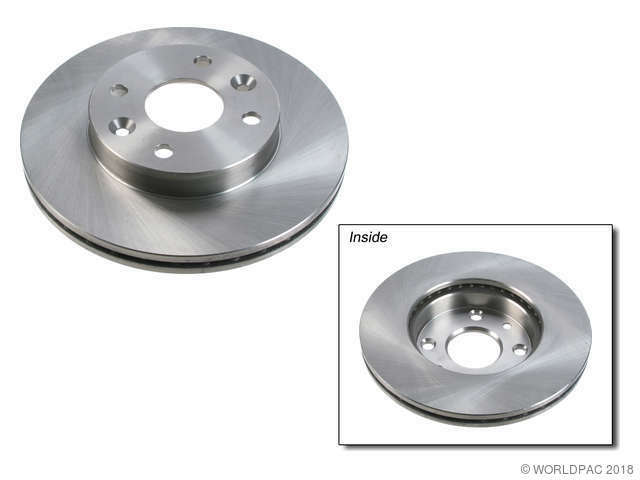 - Must use with pad # 0K2N1-33-28ZA This rotor is vented on the rotor surface sides AND on the center hub flange. This rotor is used on Sephia/Spectra applications for production date FROM 07-14-2000 only !! This rotor must be used with pad # 0K2N1-33-28ZA. For applications prior to production date 07-14-2000, you must use disc # 0K2AZ-33-251 and pad # 0K2AZ-33-23Z.